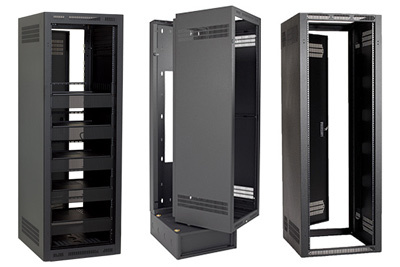 Lowell’s racks and cabinets are engineered for performance integrity and code compliance. 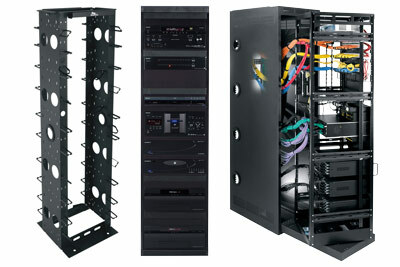 Selection includes ganging racks and floor cabinets that are UL listed and P.E. certified to meet IBC/UBC/CBC/OSHPD seismic anchorage and IBC essential facility anchorage and cabinet structure requirements. Wall cabinets feature standard, tilt-out, and UL Listed sectional enclosure selections. Desktop, under counter and custom designs are also available in addition to an extensive selection of accessory panels, drawers, shelves, add-on items, cable, and thermal management solutions. All use certified US Steel.